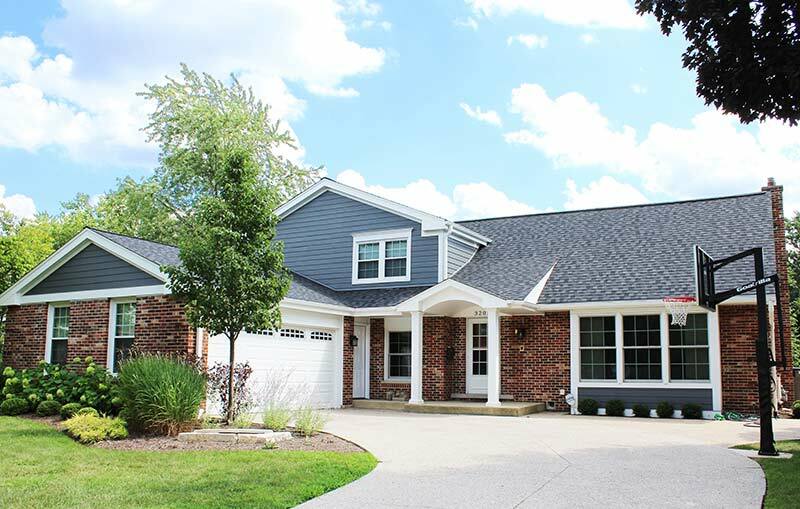 Erdmann Exteriors & Construction has done quite a lot of work on a variety of housing styles and sizes in Palatine. Residents of this community trust Erdmann to complete their home improvement projects on time and within budget, using the highest-quality products available, and with an unparalleled level of workmanship. We specialize in turning visions into reality. If you’re dreaming of a beautifully updated new kitchen or bathroom, a new room or even an entire second story addition, or a redesigned layout or major room redo, trust Erdmann to make your dreams come true. Winters may be harsh, but summers in Palatine can be glorious! Enjoy the tranquility of your backyard in comfort, extend your home’s livable space and entertain outdoors in style — with a lovely, peaceful outdoor space designed to meet your personal taste and lifestyle. Erdmann knows exterior remodeling. We offer a lifetime labor guarantee and we offer high-quality products, including James Hardie&:reg; siding, CertainTeed roofing, Marvin and Beechworth windows, and Clopay&:reg; garage doors. Why Work with Erdmann Exteriors & Construction? We have more than three decades of experience in home remodeling in Palatine, and we are proud of our ability to meet the varying needs of the residents here. We enjoy a reputation for outstanding design work, expert craftsmanship, attention to detail and amazing customer service. Our customers are our greatest advertising. At Erdmann, we shoulder the stress of home remodeling so you can relax and enjoy the process. At the end of each job, we want to part as friends. Ask your neighbors about working with us, and then call for your free in-home consultation!